CONVENIENT. 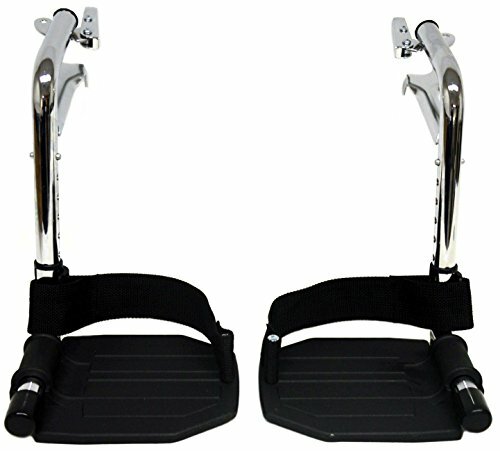 Wheelchair footrest with Vinyl Padded Calf Pads make for comfort, elevating legs and supporting proper foot position. DURABLE. 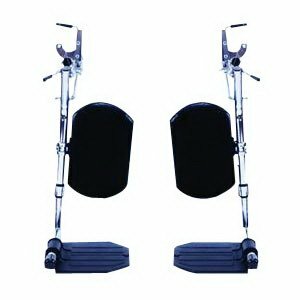 Non slip plastic wheelchair footplate leg swings for safety, comfort and easy cleaning. EASY TO INSTALL Wheelchair parts are toolfree for easy assembly. UNIVERSAL wheelchair accessories. Padded elevating leg rests for standard aluminum lightweight and heavy duty wheelchairs, rollator walkers, and chairs with leg rest. BRANDS Compatible with Healthline Trading, Drive Medical, Invacare, and more wheelchair parts brands. 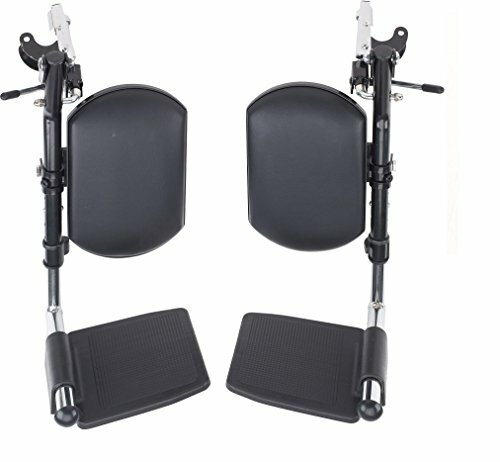 The Invacare T94HC Composite Hemi Elevating Legrest features a padded legrest for user comfort and durable footplates. 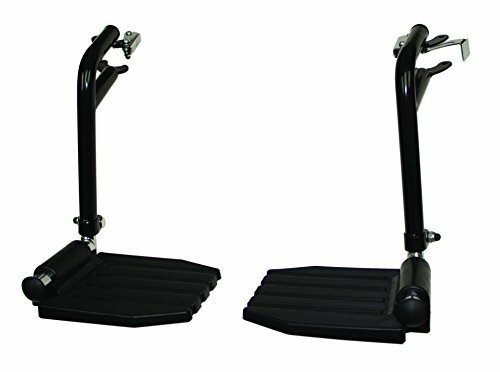 Invacare T93HEP economy footrest for standard wheelchairs, contains 1 pair of durable composite footrests. Comfort: Leg Rest Pads provides cushioned support behind the legs and helps prevent the feet from slipping behind the footrest and getting caught under the wheelchair. Footrest Extenders provides a base of support and elevates the legs one or two inches, improving both posture and comfort while alleviating foot drop symptoms. 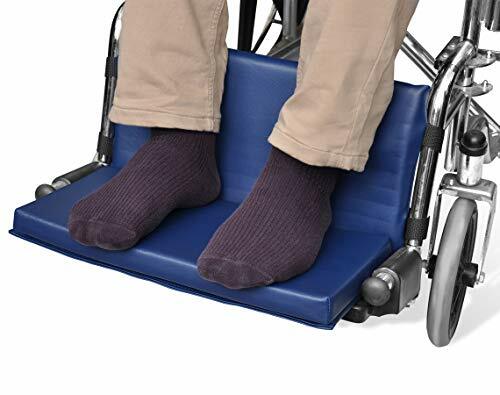 Sizing: Footrest extender available in three sizes - 1", 2", and 3" all covering wheelchair seat widths of 16" - 20" Secures easily with quick-release straps Now available with a bag for easy storage! Comfort: Leg Rest Pads provides cushioned support behind the legs and helps prevent the feet from slipping behind the footrest and getting caught under the wheelchair. 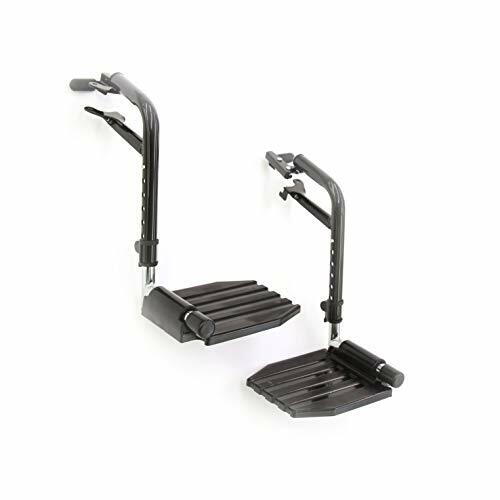 Footrest Extenders provides a base of support and elevates the legs one or two inches, improving both posture and comfort while alleviating foot drop symptoms. 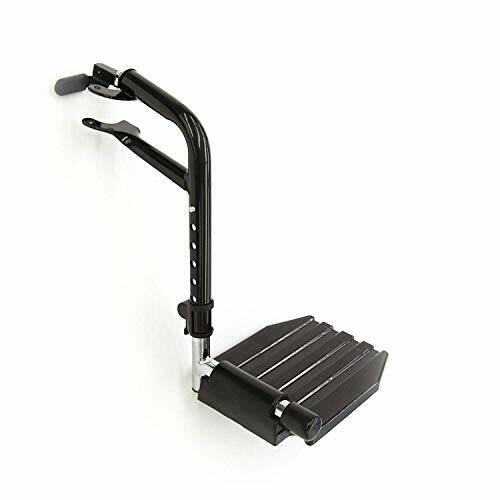 Sizing: The NYOrtho Wheelchair Foot-Rest Extender is specifically designed to fit all wheelchair types and sizes! For wheelchairs containing seat widths between 16 and 20 the size Seat Widths 16-20 is just right for you! For bariatric wheelchairs containing seat widths between 22 and 24 the size Seat Widths 22-24 is just right for you! Furthermore, for maximum comfort, both size options come in three different foot platform heights 1, 2, and even 3! 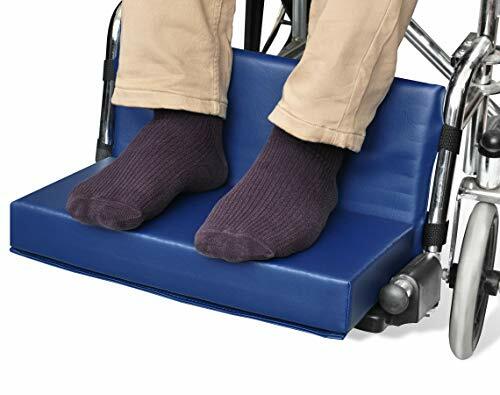 The NYOrtho Wheelchair Foot-Rest Extender Elevating Pad is secured easily with two quick-release straps, one on either side of the footrest. 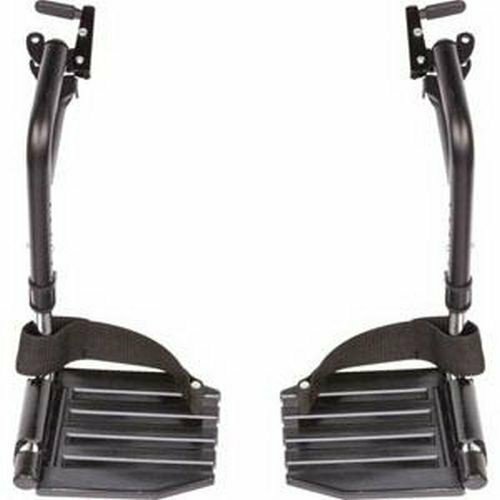 The straps easily secure around the wheelchair footrest frame for easy removal. Now available with a bag for easy storage! 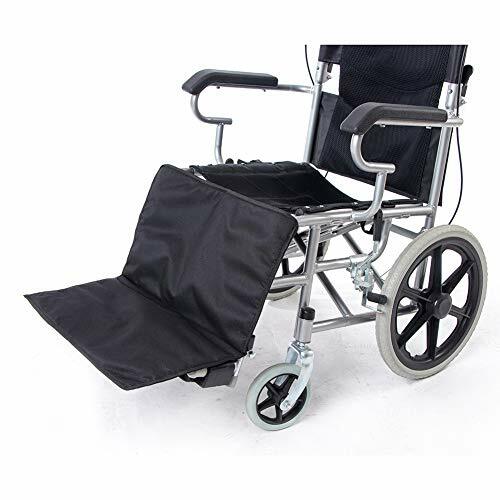 The specially made NYOrtho Wheelchair Footrest Carrying Bag hangs conveniently on the back of the wheelchair for easy storage and ease of access! The Lacura brand of wheelchair cushions and positioning aides has been serving the seating and positioning professionals for 17 years. The Lacura brand was created to offer high quality seating and positioning products at an affordable price, exclusively offered by performance health. Appropriate positioning can enable you to be more comfortable in your bed or wheelchair for longer periods of time, while helping to prevent pressure injuries. We offer a vast array of styles, sizes and compositions to accommodate a wide range of customer needs. Brand: Lacura | Manufacturer: Patterson Medical Holdings Inc. Comfort: Leg Rest Pads provides cushioned support behind the legs and helps prevent the feet from slipping behind the footrest and getting caught under the wheelchair. Footrest Extenders provides a base of support and elevates the legs one or two inches, improving both posture and comfort while alleviating foot drop symptoms. 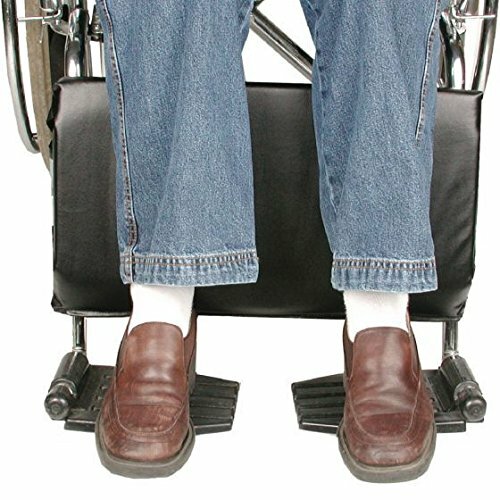 Sizing: Footrest extender available in three sizes - 1", 2", and 3" all covering wheelchair seat widths of 22" - 24" Secures easily with quick-release straps Now available with a bag for easy storage! The Invacare T94HAP elevating largest features a padded egress for user comfort and durable aluminum footplates. 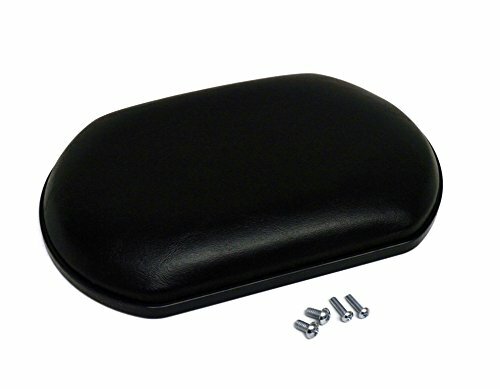 The Wheelchair Footrest Bag provides storage of personal items and wheelchair footrests, as well as being a perfect stowaway for the NYOrtho Footrest Extender / Leg Rest Pad. Available in two sizes, (16" - 20") fits wheelchair seat widths 16"-20", (22"-26") fits bariatric wheelchair seat widths of 22"-26". 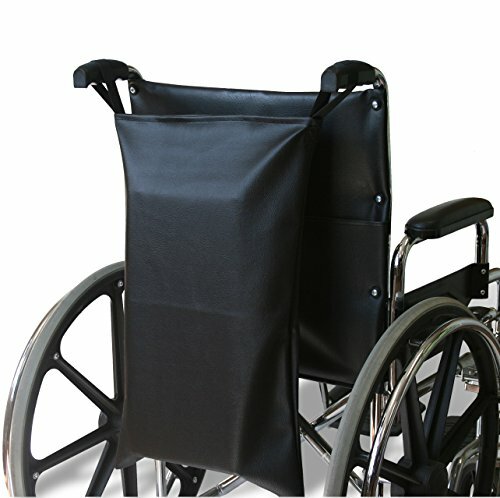 Wheelchair Footrest Bag provides storage of personal items and wheelchair footrests, as well as being a perfect stowaway for the NYOrtho Footrest Extender / Leg Rest Pad. 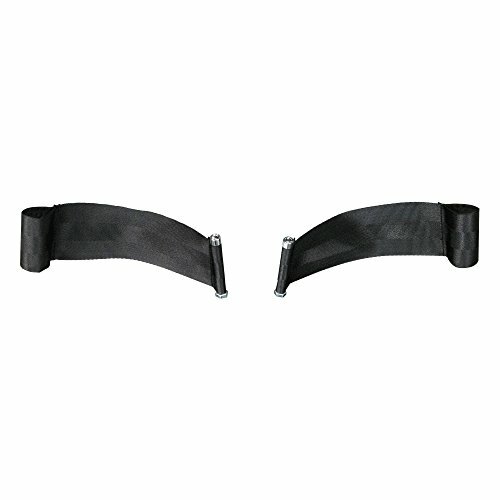 Available in two sizes, (16 - 20) fits wheelchair seat widths 16-20, (22-26) fits bariatric wheelchair seat widths of 22-26. Easily hangs off the wheelchair! Covered in durable, wipe-clean / easy to clean navy vinyl. WARNING: This product can expose you to chemicals including diethylhexyl phthalate or bisphenol A, which is known to the State of California to cause cancer and birth defects or other reproductive harm. For more information go to: www.P65warnings.ca.gov. 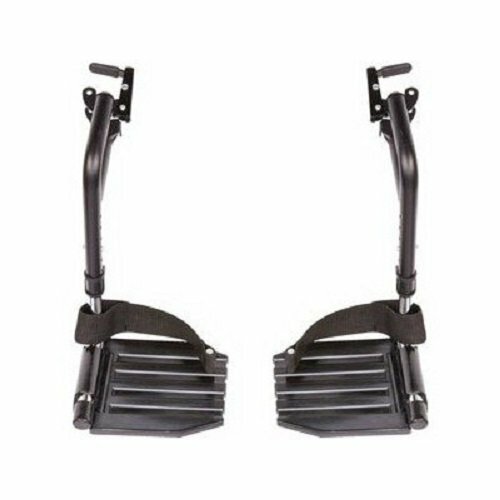 Invacare T93HAP hemi footrests with aluminum footplates and heel loops. (1 Pack, 1 pair). swing away foot rests make transfers easier and the heel loops are included. Features: Memory foam cushion with two elevation curves provides soft, pressure-dispersing resting surface Ring-type height adjustment and 360 swiveling base allows for easy repositioning Glass reinforced nylon base with 5 dual-wheel nylon casters included Valley between elevation curves offers full leg support Dimensions 21'' W x 17.5'' D x 15.25'' - 18'' H Cushion dimensions: 21"W x 17.5"D 360 degree swivel Weight 20 lbs Warranty Limited lifetime Color: Black split The ergoCentric Leg Rest lets you work in a more relaxed position that provides elevated support for the legs, which is ideal for those with leg injuries or who spend long periods of time seated. The unique curved surface creates an ideal support surface for different height and angle requirements, and a "valley" situated between the curves gives your legs unparalleled support.The ergoCentric Leg Rest provides a great way to support your legs and improve blood flow while sitting at work. 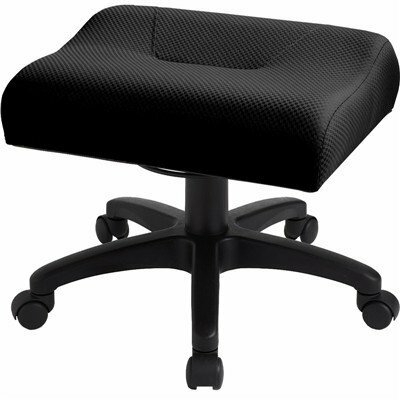 A memory foam cushion and twin elevation curves offer form-fitting leg support, while the base's dual wheel nylon casters and height-adjustable cylinder help keep the ergoCentric Leg Rest right by your side and at an ideal height. 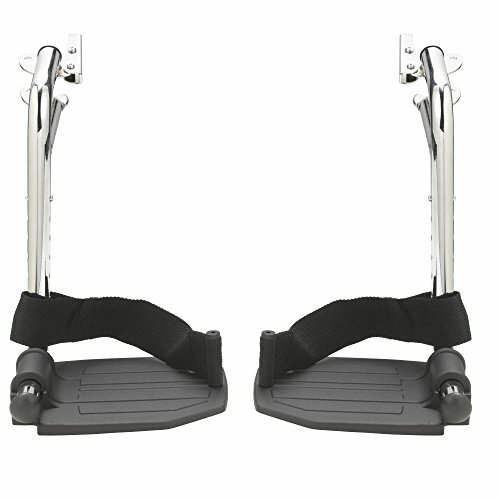 Padded foot rest for wheelchairs and mobility scooters protects lower extremities from pressure and irritation. Fits most Invacare, Medline & Drive wheelchairs with top latching attachments. This is a Hemi Pin spaced footrest with 1 3/8" space between the brackets. Adjustable height with easily adjustable clamp, gives you up to 6 extra length. Black & Chrome finish. The clamps and footrest bars are chrome and the legs and footplate are black. 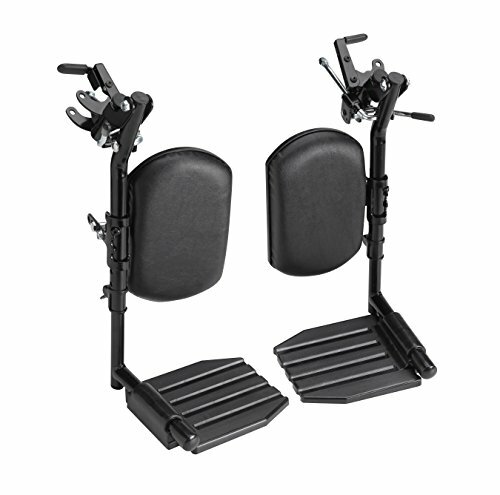 The footplate is a lightweight black plastic with foldable design for easy storage.